The Perfumed Dandy’s American Scents: the nineteen80s… Obsession by Calvin Klein Me, me, me… More, more, more | The Perfumed Dandy. Ask yourself, what fragrance would Alex Forrest wear? Recently I was reminded that the 1980s was not just the decade of our poular re-imagination: all bouffant hair and shoulder pads, aspirational cuisine and avaricious soap operas. The early part of the decade was a fragile time, when Western Countries, wounded by misadventures at home and abroad became reflective, resentful at the failed promises of 1960s optimism and 1970s radicalism and were beset by to an extent self-induced recesions. This painful first part of the epoch produced unusual fragrance hits: think of the sepia-scented antique porcelain perfume Anais Anais that occupied the dressing table tops of young girls everywhere. But these grey, brittle, ready to break early years have been all but erased from our memory by the 1980s we choose to remember. Dynasty, Working Girl, Wall Street, the real Wall Street and the actual new Masters of the Universe. The creation of increasingly epic amounts of money by a decreasing number of of mainly men and women who wanted or needed to behave and be treated like men. 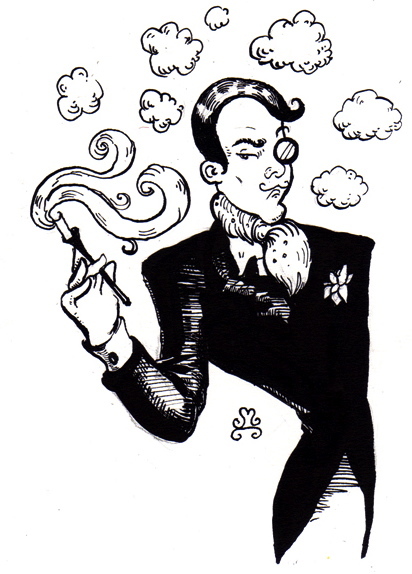 So was born the ‘more-iental’: a group of supercharged scents that took the classic prescription of Shalimar and doctored it with olfactory crack cocaine to produce an overpowering, ultimately corrupting aromatic experience that would soon have half the perfume buying public hooked and begging for more. And the drug of choice? For a whole half generation of fragrance buying females nothing could come between them and their Calvin. Who cared that it was ultimately a blunt instrument, low rent sort of a scent? The perfume equivalent of an over inflated balloon, pumped full to bursting with a heady gaseous cocktail of ingredients from vetiver to civet, peaches to cedar trees, supposed ambergris to simulated soft fruit. Who cared if it was loud and brash and unashamedly vulgar? It made a point of making sure it was noticed and in this at least it unequivocally succeeded. In fact even an anosmiac couldn’t fail to notice Obsession: the ultimate soft perm and Ellenet, bunny boiling, recreationally rude, red stilletoe shoe and white letherette dress bedecked psycho-scent of the decade. History has not been kind to Calvin’s sensation. Today, eighty years after its release, the tirelessly cheapened Tabu, the true original of the more-iental still smells like something I could imagine cleaning the floor of a high class bordello with. Less than thirty years after it’s 1985 launch, reformulated Obsession resembles substances they put down drains that don’t quite keep the smell of decay away. For in the end as the 1980s proved decandence leads inevitably to decay. Fear not friends, tomorrow is another day, and there will be more and better American scents for us to share on our journey back through time. It makes me think of everything that was ugly about the 80s. Narrator: She was like the air. Brittle and easily broken. How could one so perfect, be so flawed? Narrator: She was an incondescant angel, dancing on the edge of a ritual that was both innocent and jejune. Narrator: [ annoyed at man ] Her translucent figure, glowing in the light and fire of her overwhelming passion. Narrator: I wonder what was the greater transgression. Loving her, or abiding her immaculate madness. Model: A little club soda will get that out. Narrator: She was consumed. Obsessed. Never able to enjoy her own party. Man: I alone felt her torment. Her deepest secrets known only to me. Woman: If keeping a clean house is a crime, then let me be guilty! [ setting is now black and white and shows Woman behind bottle of Compulsion ] Woman: Somewhere between cleanliness and godliness lies Compulsion, the world’s most indulgent disinfectant. From Calvin Kleen. Announcer: Ah, the price of it. Mr. Lanier – This. Is. Brilliant. The notices are in and are unanimous in their acclaim for this commercial to surpass all mere advertisements. I see it all black and white and obtuse angles, deep dark German expressionist shaddows at every trun. Calvin Kleen: rarely has so much talent and pretension been expended on the seling of such poor product! As always, dear friend, you have had me in howls of laughter. The 1980s were a crazy, fragile decade indeed. We wouldn’t have been able to oust an over-staying President and his shoe-loving First Lady in any other decade, I suppose. Speaking of shoes, I’ve heard rumors that she had a special custom-made pair she loved to wear at parties. The heels were said to have a hidden mechanism which spritzed Chanel No. 5 with every step she took. But shoes hat squirt scent sem like such a practical idea, no? I jest, but what a wonderfully ‘last days of Louis XVI’ idea. At least though it was No. 5… it could have been much, much worse! Ohhh the 80s!!!! (sniff. sniff…needs tissue) Those were the days…. Big boxy jackets and shoulder pads…LOL…even the cars were squared off….While I am guilty of the permed hair coiff like Melanie, after cutting of course, I never wore anything of Calvin’s. Seems I did not miss much. Kudos as always…so glad you have returned. Yes indeed, thouse really were the days. I remember the smell of gel and hairspray so vivdly. The swathes of pastel colours, the perfms, the highlights, the fringes. I must confess The Dandy escaed the decade Calvin free to, and having smelt Obsession I’m glad I was spared! I can’t stop laughing! Although I have a sneaking fondness for Obsession, I thoroughly enjoyed my trip back to the Eighties on the Dandy Rollercoaster. Alex Forrest is exactly the kind of woman who wears Obsession, squirts it about eight times then leaves it all over the bed sheets. Marvellous. Incidentally my son loves Tabu. But then he is seven. To me it smells like my old student room after I had been burning joss sticks. Not a big fan of the fragrances of that decade or the fashion, but the music was great! 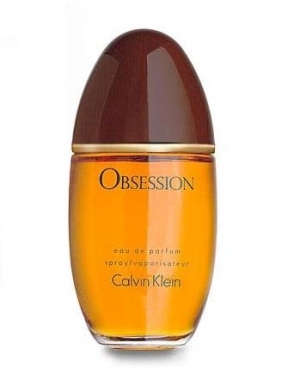 I remember smelling Obsession for the first time when I was about 14 and felt like being caught flicking through some raunchy men’s magazine. What an excellent comparison… yes, that’s exactly it! Obsession does leave one feeling a little bit grubby and really rather badly behaved. I shall be chuckling at that thought all day today!